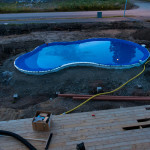 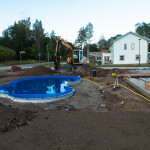 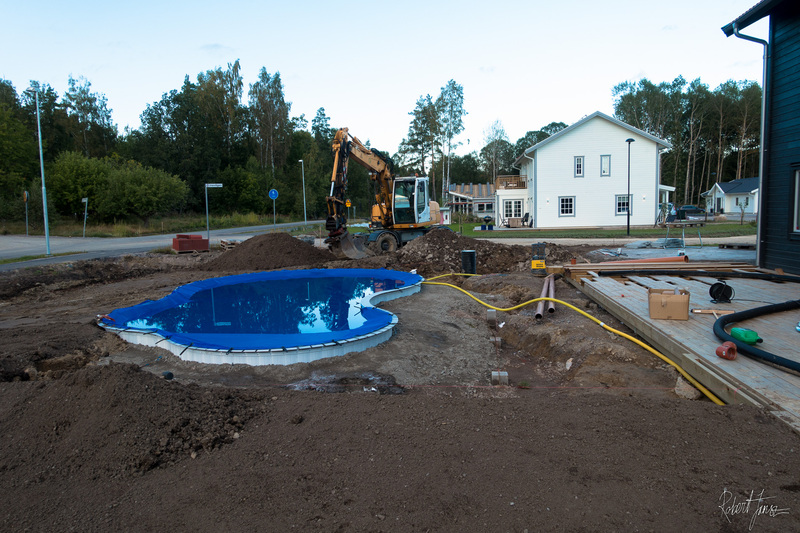 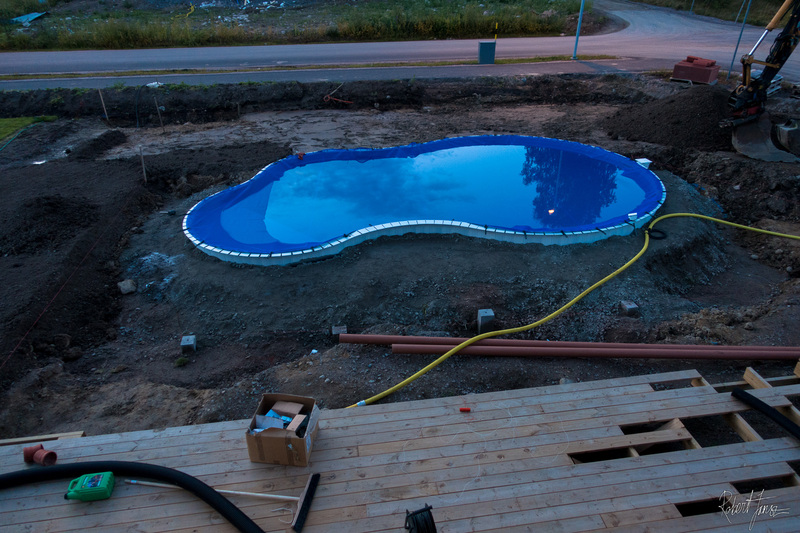 In the end of september we finally managed to mount and fill upp the Aqvis swimming pool fantasy 24. 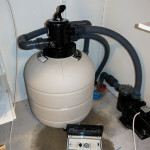 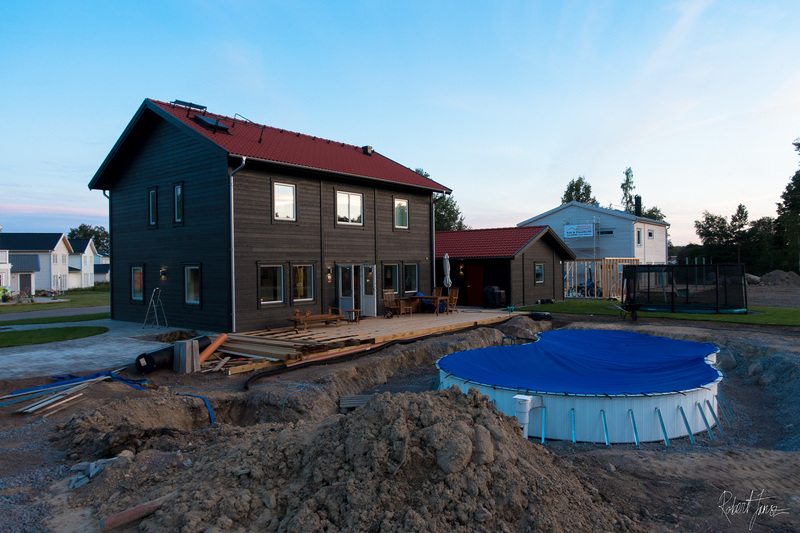 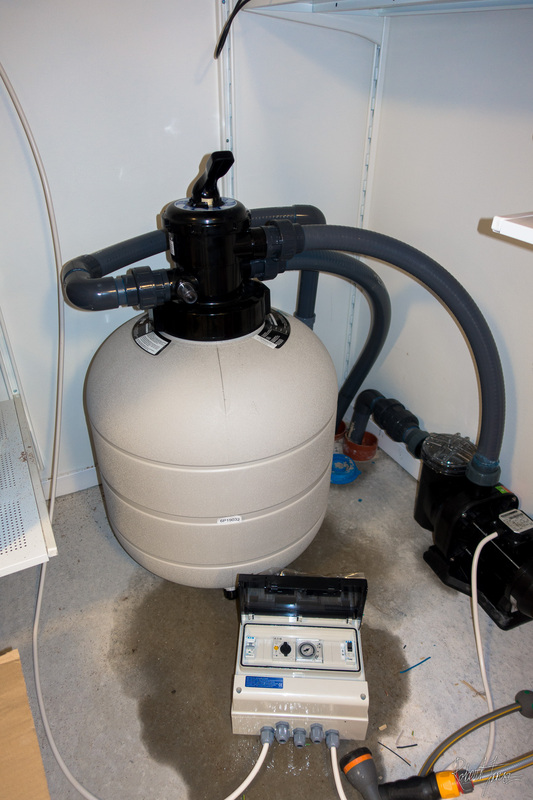 The filter and waterpump is in place and the water is pumping trough the system and is heated with a heat exchanger connected to house long-distance district heating system. 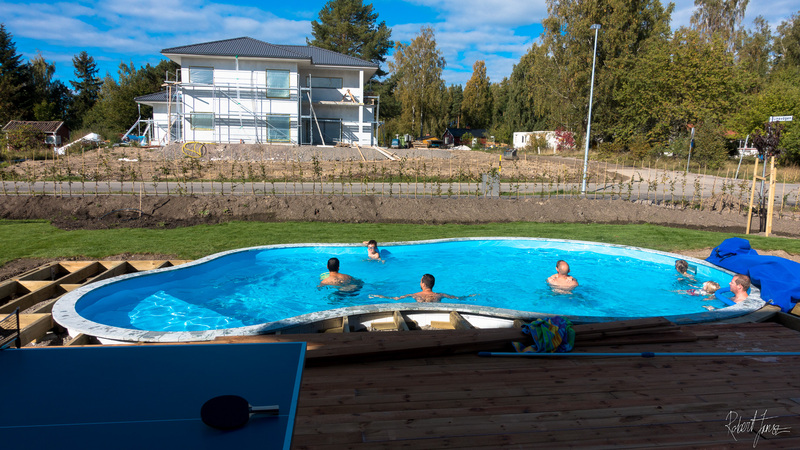 To see that everything worked we heated upp the Aqvis swimming pool fantasy 24with 48m³ water from cold tap water to 30 celcius in a couple of days in the end of september and it drained about 7000kwh of district heating.